The terrorists arrested by Maharashtra Anti-Terrorism Squad (ATS), were planning to poison the water of River Ganga as well as the food at the ongoing Kumbh Mela in Prayagraj. 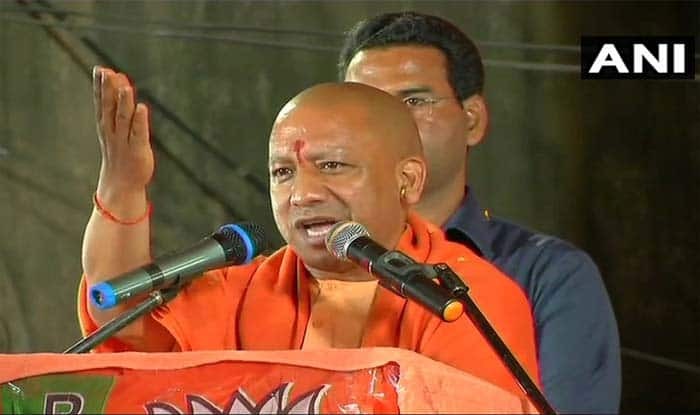 Mumbai: Lauding Maharashtra Chief Minister Devendra Fadnavis for the arrest of nine ISIS suspects two days back, Uttar Pradesh CM Yogi Adityanath said that had the terrorists tried to enter his state, they would have been neutralised at the border itself. The terrorists arrested by Maharashtra Anti-Terrorism Squad (ATS) were planning to poison the water of river Ganga as well as the food at the ongoing Kumbh Mela in Prayagraj. CM Adityanath had made these remarks in Mumbai where he had arrived to attend UP Day event on Thursday. The Maharashtra ATS had carried searches at five different locations in both these two districts. Post the searches in Amrut Nagar, Kausa, Moti Baug and Almas Colony areas in Thane’s Mumbra township and in Aurangabad’s Kaisar Colony, Rahat Colony and Damdi Mahal areas, nine persons were arrested. Certain chemicals, powder, mobile phones, hard drives SIM cards, acid bottle, sharp knives etc. were seized during the searches. Meanwhile, a case has been registered under Unlawful Activities (Prevention) Act 1967. As per an Indian Express report, the Uttar Pradesh police recorded at least 3,026 encounters in the first 16 months of the Yogi Adityanath government. Of these 78 criminals were killed in encounters, 7,043 were arrested and 11,981 criminals had their bail cancelled in courts.